Thursday Poll: Pick a Smartwatch, Any Smartwatch. Three round smartwatches stole headlines this week, all of which will be available at some point over the next few weeks. 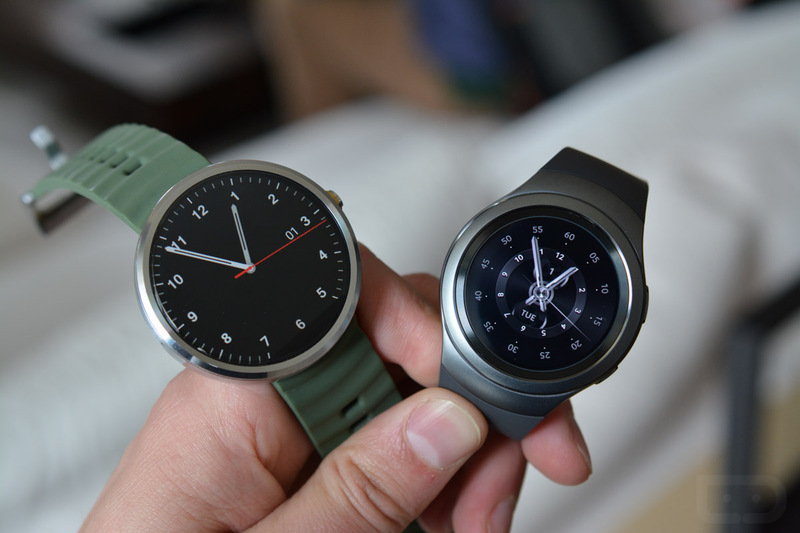 We have the new Moto 360 (2nd gen), Huawei Watch, and Samsung’s Gear S2 and S2 Classic. All look pretty fantastic, but each are different in their own way. Moto wants you to customize the hell out of theirs, while Huawei has given you options, but wants you to think of its watch as a high-end premium device. Samsung, well, it’s positioning itself somewhere in the middle, though it seems to have realized all that was wrong with previous watches and fixed them this time around, making watches that are worth considering. We spent time with all of them over the last couple of weeks. Tim went hands-on with the Huawei Watch here. I also did my thing with the new Moto 360 here, and the Gear S2s here. I’d have to say that if I were choosing one today, I’d probably go Huawei Watch. The combination of the premium experience, design, and choice has won me over. But that doesn’t mean I’m not super excited to spend ample time with the new Moto 360 and Gear S2. Decisions will be made here shortly, once our reviews are ready. What about you? If you were picking a smartwatch today, which way would you go? Pick a smartwatch, any smartwatch. Which would you buy? I'll keep my current smartwatch, thank you. I don't need/want a smartwatch.